Superman is my favorite superhero. Always has been. But lately—especially after seeing Man of Steel—I’ve had a major problem with the overall concept. In a word, the problem is radiation. Superman made a lot of sense when the concept of a distant red sun was a matter of fantasy, and when radiation was basically as real as telepathy in the minds of most. Now it’s near common knowledge that there are billions of suns throughout the galaxy, and billions of galaxies on top of that. We also have a good understanding of how radiation works. And that brings us to his powers. The cannon states that he gets his strength and abilities from Earth’s yellow sun. And conversely, he loses his powers by the red sun of Krypton (which comes in small amounts through Kryptonite). So, what is the yellow sun transmitting that grants the powers? And what is the red sun (and Kryptonite) transmitting that takes them away? 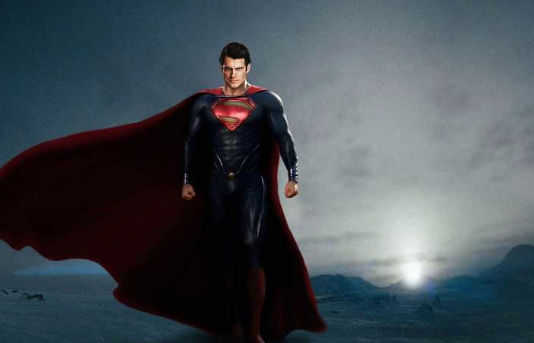 We see in the latest movie that the Kryptonian ship shielded the yellow sun inside, and Clark lost his powers. That would make sense if it was a simple radiation that could be blocked. It seems that not only could the Kryptonians do that, but so could humans in the late 1900s. Even worse, you could simply capture and study the radiation coming from the Kryptonian sun, and then reproduce it. It’s just radiation, after all. This is a sci-fi claim, not one of holy powers or magic or fantasy. So we study a piece of Kryptonite for three days, analyze the radiation coming from it, and then build machines that can spray it all over the place. Oh, and he can’t really fly around in space much either. He can’t get too far from the sun otherwise he becomes human and dies instantly. And since most of space is empty, that’s most of space he can’t go. That’s not even mentioning the problem of wandering into other red suns, of which there are likely millions or billions. So that’s the problem. You can throw a radiation repelling blanket on him, blocking the Sun’s yellow radiation, and he becomes a weakling. And if you spend a few grand on a radiation gun you can kill him handily. But he’s still my favorite. There is of course the small matter of him having superpowers, and the whole conservation of energy thing. So there’s a small chance that it’s just silly to argue about the scientific merits of a superhero. Ignore that blasphemous first note. Superman forever.